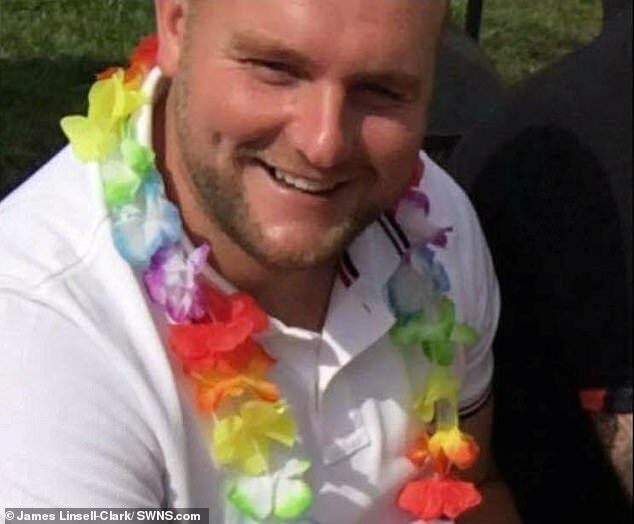 A grieving mother has released a photo of her celebrity bodyguard son on his deathbed after he was knifed by thugs with a machete. 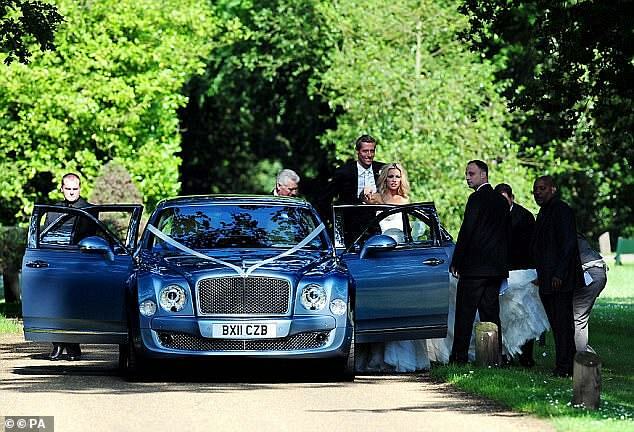 Ricky Hayden, who guarded Peter Crouch and Abbey Clancy's wedding, was stabbed in the leg on his doorstep in Romford, Essex when he tried to stop his brother's scooter from being stolen. 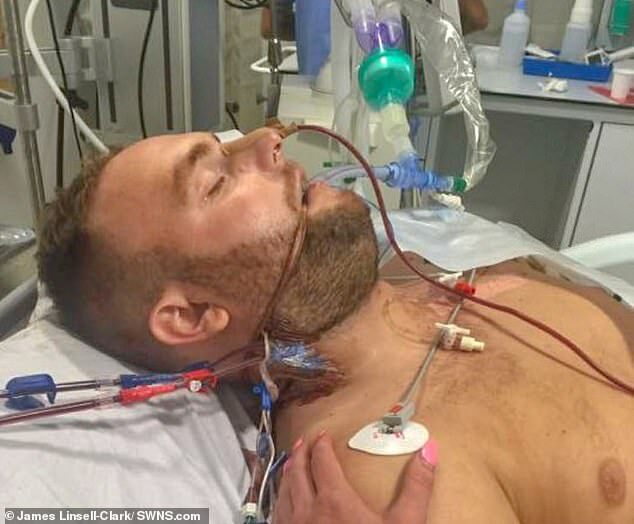 The 27-year-old was airlifted to hospital where doctors could not save his life despite amputating his leg. Two years later, his mother Suzanne Hedges, 51, has shared a moving picture of his final moments to raise awareness of knife crime. Mrs Hedges, a former teaching assistant, said: 'Two years later it's still affecting us just as badly as the day it happened. I relive the night it happened constantly. 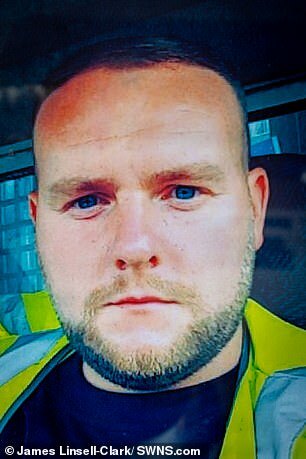 Mr Hayden's killer, Tommy Roome, from Romford, Essex was last year cleared of murder but found guilty of manslaughter and jailed for 14 years. Mrs Hedges has now recalled the heart-breaking moment she arrived at hospital to find her son on his deathbed. She said: 'When I went to hold his hand I noticed he had slices all over his hands and the tip of his fingers and some toes on his remaining leg were missing. 'They were clearly defensive wounds and it broke my heart to think of what he went through trying to save himself from that knife. Mrs Hedges is now campaigning to end knife crime and is asking shops to sell knives more responsibly. 'People say that if kids want to carry knives they'll get their hands on them at home or any way possible, but I think it's important to make it as hard as possible for them to buy them,' she said. 'We've been working with companies like Wilko, Poundland, Sainsbury's and trying to educate them about safer ways they can stock these products. 'We've made progress, but I sometimes do worry about how slow it is. 'Yes, it's a long battle but if I stop one youth from being murdered I'll be happy because that family won't have to go through what we have. 'Sometimes I do have low moments when I think that the problem is getting worse rather than better. 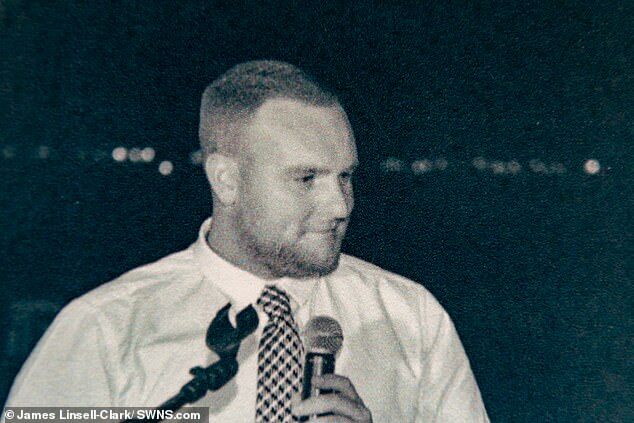 On the day of the attack, September 13, 2016, Mr Hayden had gone to investigate when he spotted two youths eyeing up his little brother Perry's scooter outside their house. He rushed outside in just his boxer shorts, and was joined by Perry, 21, and their father, Paul, 55, as he confronted the two boys. Roome then pulled out a machete during the clash, stabbing bare-footed Mr Hayden in the thigh. Ms Hedges was staying with her mother, Irene Hedges, 75, near the family home when she received a call at 1.30am, roughly seven minutes after her son was stabbed. She said: 'By the time we got there Mr Hayden had already been airlifted to hospital. 'I wasn't allowed to go into our house, but as I got close I could and I just saw this huge pool of blood running down the road from our drive way. Ms Hedges and her mother rushed to be by Mr Hayden's side at The Royal London Hospital in Whitechapel. On arrival she was asked for permission to amputate his leg which was the only way doctors could try and save his life. She said: 'The wound was so deep, it was 16cm, caused by a huge, machete-like knife. 'He was such an active guy, he had two jobs. My son was a fit and healthy young man. 'At no point did I ever think that I'd walk out of there without him. 'It never occurred to me that he might die, it simply didn't cross my mind. 'After the operation Ricky was still critical and we couldn't see him, the wait was pure torture. 'When we were finally allowed to it was amazing, he looked like my son, he had no visual marks on his face. She watched Mr Hayden fight for life for four minutes and 11 seconds after the life support machine was switched off. Despite previously wanting to keep Mr Hayden's final moments private, Ms Hedges has now decided to share one last image from his death bed. Ms Hedges said: 'It makes your whole world change, losing a child, no matter what age they are. 'I didn't ask for this situation I was just thrust into this nightmare. 'I'm now on anti-depressants, sleeping pills and I've had to give up my job, home and totally lost all confidence in myself. 'Recently we had to put down Ricky's dog Roxy, she was there that night and was totally traumatised by it all, she was never the same again. 'Losing her too it was like another stab in the heart. 'The anger inside kicked in again, not only have you killed my son but you've ruined all our lives, even the dog's. 'I have to admit that as a family we are very bitter. Mr Hayden's attackers were arrested and tried at the Old Bailey, London. 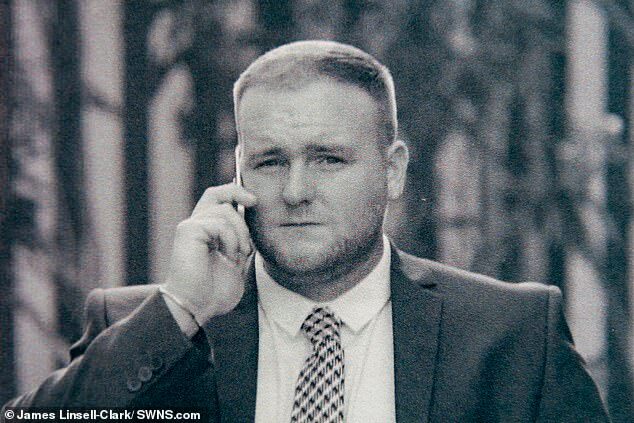 While one of the boys was found not guilty, Tommy Roome, then 20, was convicted of manslaughter and sentenced to 14 years in prison. 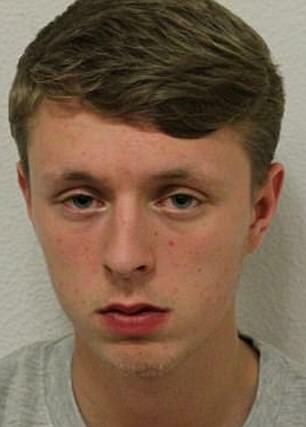 But Ms Hedges feels the outcome and sentence are 'grossly unfair' considering the seriousness of the crime. 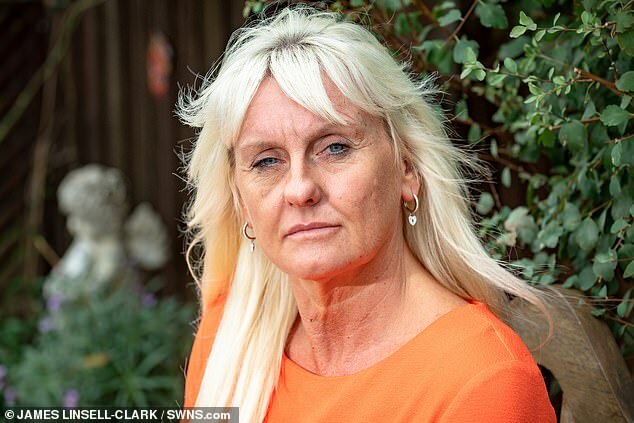 One of the ways that Ms Hedges and her family have helped to deal with the grief is by throwing themselves into campaigning and raising awareness about knife crime. As well as holding demonstrations and attending and speaking at residents and community meetings, they have been lobbying UK shops that stock knives to do so more responsibly. Ms Hedges is currently planning to go into schools to speak about her experiences in order to highlight to young people just how devastating knife crime can be. 'Day after day the reality of our situation as a family is very bleak now Ricky's gone,' she said. 'Aside from the sleeping pills and anti-depressants I take I've even got phobia of my own phone from replaying the night I got that call. 'I can hear the ring tone going round in my head when I lie in bed at night. 'Two years later it's still affecting us just as badly as the day it happened.